I am honored to have been elected to serve as the new State Representative for Rogers, Dayton and Maple Grove in House District 34A! I look forward to working with all of our newly elected officials to serve all of the people in our district. We want to thank former Rep. Joyce Peppin for her 14 years of excellent service in our community! She was an effective leader and I am grateful for all she did for our district and for her endorsement in the race to succeed her. Great thanks to everyone who gave countless hours to help doorknock, put up lawn signs, make phone calls and otherwise help spread the word about our campaign. We are grateful for your friendship, boundless energy and amazing teamwork. I look forward to working with all of you to ensure our communities continue to be a wonderful place to live, work and raise our families. Please reach out if you have any issues you would like to discuss! I look forward to meeting even more people and continuing to learn about your priorities. Kristin is a native of Crookston, Minnesota, attended Bethel University in St. Paul, and has lived in the western suburbs for more than twenty years. 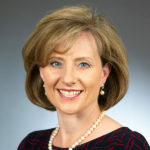 She is currently the Executive Director of the Economic Club of Minnesota, a non-profit focused on strengthening Minnesota’s economic competitiveness, which she has led since its founding in 2008. 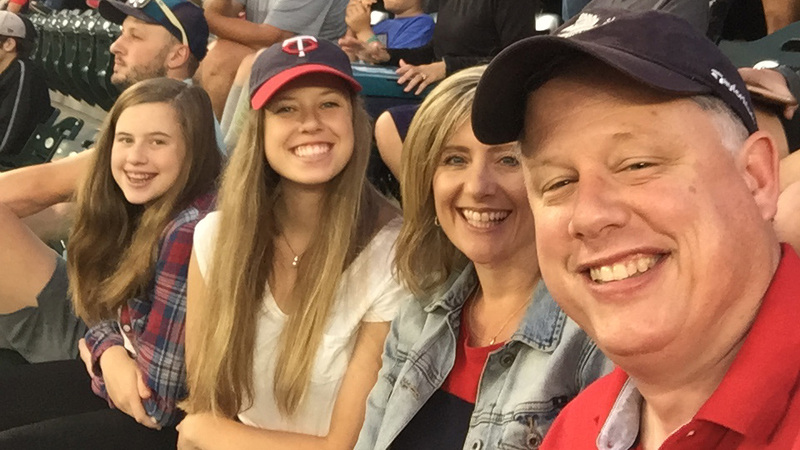 Kristin and her husband, Brent, have been married for almost 25 years and have raised three daughters in Maple Grove. She is a “soccer mom” and has spent countless evenings and weekends cheering on her girls in soccer, basketball, softball, gymnastics and trap shooting. She has been an active volunteer, coaching Destination Imagination and teaching Junior Achievement’s economic literacy program, as well as teaching Sunday School, AWANA and VBS at her church. Kristin has an extensive economics and public service background. Prior to creating and leading the Economic Club, she was the Executive Director of a group that helped pass education tax credits in Minnesota. The Wall Street Journal called this legislation “a model for the rest of the country.” She also served on the State Commission to End Chronic Homelessness. Kristin also worked in Washington, D.C., as the Legislative Director for Congressman Harris W. Fawell (R-IL), where she focused on taxes, trade, education and labor issues. She also led the bi-partisan Congressional Porkbusters Coalition, co-chaired by Rep. Fawell and Rep. Tim Penny (MN), cut millions of dollars of wasteful government spending from appropriations bills. Before that, she was employed in the Business and Economics Division of the Center for Strategic & International Studies (CSIS). Kristin is an active member of New Hope Church, where she serves on the board of HopeBridge food shelf. She was a founding Director of the Banyan Community, a neighborhood community development organization focused on addressing the achievement gap in the East Phillips area of Minneapolis, and she continues to be actively engaged in their work. Kristin has also been an active volunteer for Republican candidates throughout her life and has served as a precinct Chair, Vice Chair and Deputy Chair for SD 34 Republicans for many years. Kristin holds a Masters in Economics from Washington University in St. Louis and a B.A. in Economics/Political Science from Bethel University. She lives in Maple Grove with her husband and three daughters. Kristin supports improving access to early childhood programs, ensuring all students graduate with skills needed for success, and providing more options to earn post-secondary credits in high school. Health care costs are out of control, and too many families are feeling the squeeze as a result. Kristin will work to lower health care costs by increasing price transparency and boosting competition which will mean more choices and lower premiums for families. Minnesota has the 3rd highest tax rate in the country. Kristin will fight to help families keep more of their hard-earned money, eliminate state taxes on social security benefits, and support tax relief for families saving for college and college graduates paying off student loans. Have a question or comment? Want to know how you can help? Contact us today or fill out the form! We’ll get back to you promptly.